Adonis ‘Donny’ Creed (Michael B Jordan) is the illegitimate son of boxing legend Apollo Creed. Struggling with the death of his mother and living in the shadow of his father, Donny finds himself in and out of juvenile detention before Apollo’s wife Mary Anne (Phylicia Rashad) asks him to live with her. Despite his new found privileged lifestyle, fighting is in Donny’s blood. He rejects the safety of a corporate desk job for the danger and risk of the boxing ring. This is not an easy choice and Donny is deeply conflicted. He is drawn to his father who died before he was born. At the same time, he doesn't want to use the Creed name - he wants to be a success in his own right. Donny decides to move to Philadelphia in search of answers... and a trainer. And only one trainer (of course) will do - his father’s friend and former rival, Rocky Balboa (Sylvester Stallone). I thoroughly enjoyed Creed. Director, Ryan Coogler, has achieved the perfect balance - a film that looks back with loving nostalgia and also powers forward, creating an exciting Rocky future. No easy task for a franchise that had certainly hit the ropes. Creed’s story feels both fresh and familiar. I knew what to expect in many scenes. The film's narrative followed a familiar path. This is no criticism. The film’s sense of the familiar, of nostalgia felt right - this felt like a Rocky movie (especially as Coogler includes snippets of that unmistakable theme tune). However, there also are plenty of surprises in Creed. For example, Donny does not have a typical backstory. Donny's story is more complicated twining as it does hardship with privilege. This creates an interesting dynamic for Donny as he struggles to find a place where he truly belongs. When Donny meets Rocky Balboa the film takes off - becoming so much more than just another Rocky sequel. Yes this is a film with impressive, adrenaline-fueled fight scenes (one of them is filmed as if it were a single shot). Yes the training sessions are gripping, engaging and, quite frankly, exhausting. However, Creed is not just a boxing movie. It is much, much more than that. 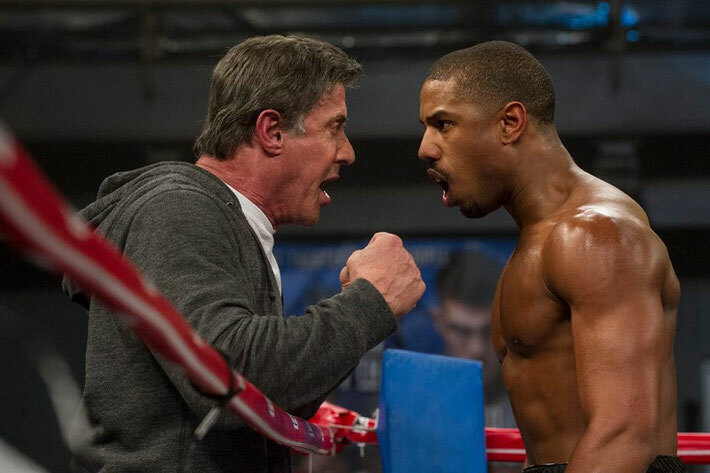 Creed is also a sensitive study of complex relationships, friendship and family. Michael B Jordan is brilliant as Donny. He is self assured and completely convincing as a fighter. Jordan has such charisma and such screen presence that I often find myself caring and rooting for him before I even know why. He conveys the conflict within Donny and allows us to glimpse his deep emotional turmoil. Stallone, meanwhile, gives a superb performance. He does not seek to steal scenes - this is a supporting role in the very best sense. I just couldn't take my eyes off him - it felt so natural to see him in this role. Rocky, of course, is a character that he knows so well - having played him (off and on) for 40 years. Stallone portrays Rocky’s painful past with authenticity and care. He has lost so much and you really feel that grief. It is moving to see a Rocky who believes that his life is in the past and that he has little future to live for. When Donny comes along, he shakes new life into Rocky - both the character and the franchise. As the film ended, I wanted more. Fingers crossed for the sequel. I'd watch it tomorrow. I do hope that the Creed 2 film Stallone is already talking about happens. I think that a sequel could develop many interesting storylines that Creed introduces but hardly explores. One of these involves Donny’s girlfriend, Bianca. Her character is intriguing but then sidelined as Donny’s story dominates. I love the way the BBFC describes Creed’s fight scenes as “crunchy”! This isn’t the first time Michael B Jordan has worked with director, Ryan Coogler. Jordan also starred in Coogler’s Fruitvale Station - a biopic based on the events leading up to the tragic death of Oscar Grant. Grant who was killed in 2009 at the Fruitvale Bay Area Rapid Transit (BART) Station in Oakland, California by police officer, Johannes Mehserle. Have you seen Creed? What did you think of this film? Do let me know by leaving me a comment in the box below. Having thoroughly enjoyed Rocky Balboa, it's pleasing to see the franchise still has life in it. I haven't seen Creed yet but I'm looking forward to checking it out. Hey Dan... thank you so much for stopping by! 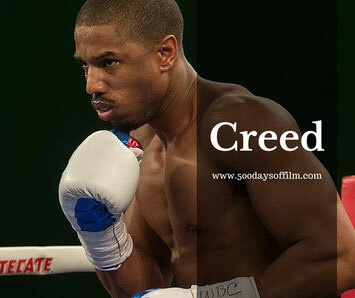 I loved Creed... let me know what you think when you watch it - seems to me that this franchise has a healthy future!